Phil qualified as a Physiotherapist from the University of Queensland. 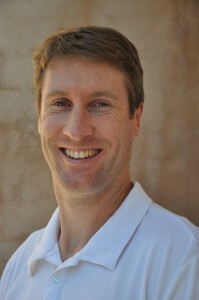 He has worked in a range of sporting and clinical environments in Brisbane and the Central Coast. He has a special interest in sporting injuries, back & neck pain, soft tissue therapy and helping people understand the underlying mechanics of the way we move. Phil has a desire to help people of all ages and applies his knowledge of assessment, diagnosis and treatment to a range of complex conditions, especially those involving the shoulder & neck, back/hip/pelvis and upper & lower limbs. gymanstics, dancers and… Phil is always interested in sports.! Apart from being Phil’s wife, Michelle is an experienced project manager. As such, Michelle brings with her a strong organisational background and the skills required to coordinate a growing practice. Michelle enjoys work but also her role as “mum” to sons Oliver (9), Harry (4) and Eddie (21 months).